We all know how much toddlers love locks, phones and door stoppers. Which is what makes this dad’s busy board for his young son so clever. It was posted up on Imgur by user Teachezofpeachez and has attracted more than 2 million views in just 24 hours. 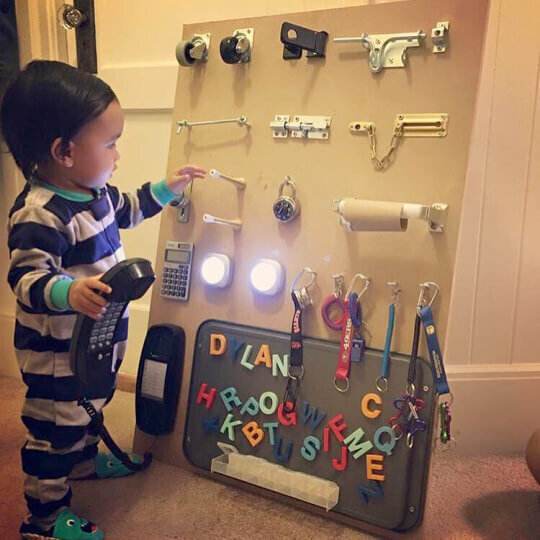 The board features magnetic letters, a wall phone, a calculator, and a series of locks and carabiners for his little one to tinker with. There’s even an empty toilet paper-roll holder!